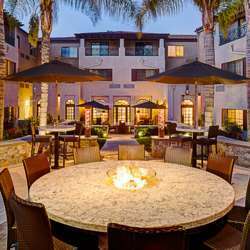 Dear friends, I’d like to invite you to a new open air get together at the Marriott Palo Alto-Los Altos’ outside *front* Patio. LOCATION: Look for the InterNations sign. This time we will meet at the *back patio*, not the front one. Underground parking will be available and free of charge for those attending the event. Entrance fee: With RSVP by 6pm on Thursday, 22 February, 2019: ✔ $5 entrance fee for Albatross Members ✔ $15 entrance fee for Basic Members With no RSVP by 6pm on Thursday, 22 October 1, 2019: ✔ $20 entrance fee for ALL not on the RSVP list The Entry Fee is payable at the door via cash, PayPal, or Venmo. The entrance fee goes toward covering the costs of our InterNations Events. Albatross members pay a small subscription fee online, dedicated to improving InterNations' website and developing new features, and therefore enjoy a reduced entrance fee to the monthly get-togethers. Well worth it if you join us regularly! Please RSVP to the event and feel free to invite your international minded friends to be part of our community. VOLUNTEERS: ***For this and future events, I would like to ask volunteers from our community to greet and check-in guests at the door and/or support us taking pictures. To express your interest, please send a private message to Jaime*** Guest list closes at 6pm on Thursday, 22 February, 2019.